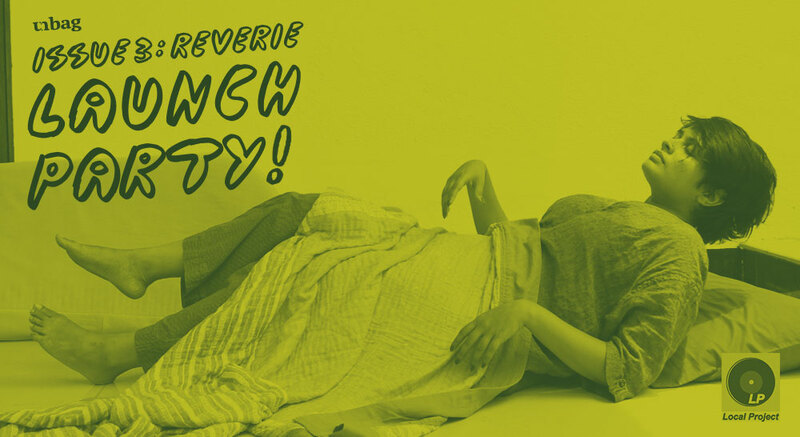 Join us for the release of unbag Issue 3: Reverie, featuring literary works, visual arts, and web-specific projects that address the concept of reverie. The event will feature readings from Anaïs Duplan, Alona Weiss, Gili Ostfield, and M. Milks. The event will include drinks, music, and a celebration with friends of unbag immediately following the NY Art Book Fair opening night. We can’t wait to see you! Issue 3 contributors include: Nada Shalaby & Dena Al-Adeeb, Barbara E. Byrd , Stephanie Castro, Brian Droitcour, Anaïs Duplan, Jazmin Jones, Yasmin Majeed, M. Milks, Lara Mimosa Montes, Gili Ostfield, Gabriel Pericàs, Isaac Pool, Penny Rafferty aka Omsk Social Club, Felicitas Rohden, Alona Weiss, and Danielle Wu. Alona Weiss is a visual artist and filmmaker based in Brooklyn. Her video, performance, and installation work reclaims the confines of publicly accessible landmarks into feminist production sites.